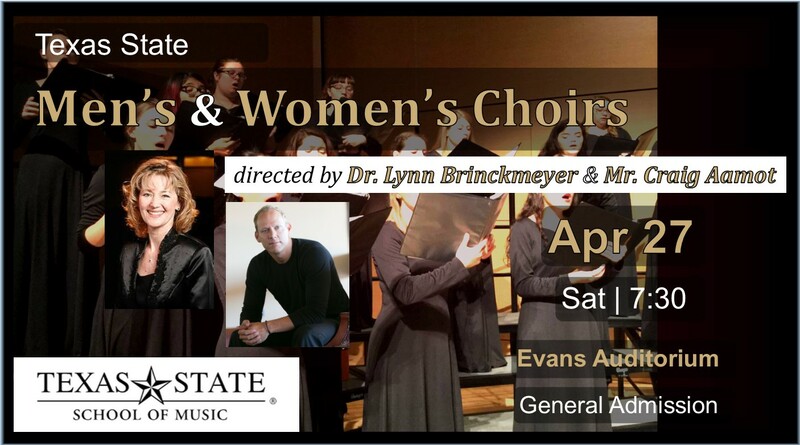 Dr. Lynn Brinckmeyer and Mr. Craig Aamot direct the Women's and Men's Choirs respectively, and together, both ensembles join forces to present a concert of wonderful choral music. BOX OFFICE OPENS 30 MINUTES BEFORE THE PERFOMANCE. Special Event Parking for all fine arts events occurring in Evans Auditorium the Pleasant Street Parking Garage (101 Pleasant Street).